Kathleen Gazall, Flotilla organizer, having some fun with a squirt gun. 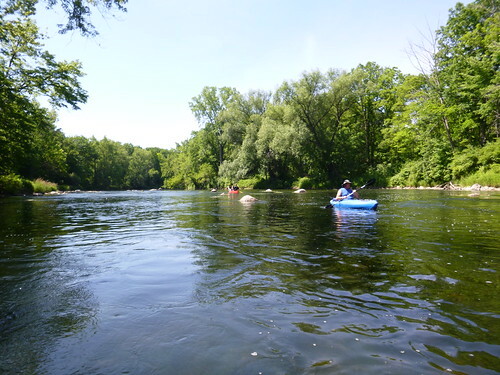 Dust off your inner-tubes and rafts and get ready to float the river! 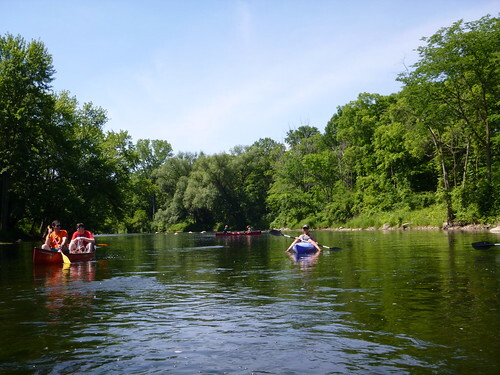 The Second Annual Flint River FLOTILLA is this Saturday, August 8th. Registration begins at Noon. 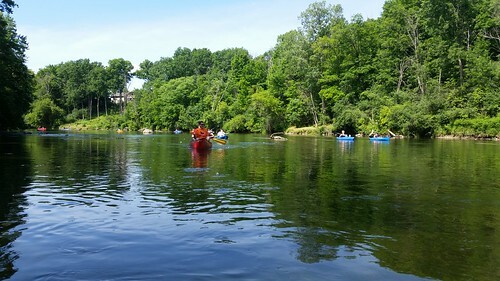 Last year, over 100 people ventured out to take part in the Inaugural Flint River Flotilla and were completely blown away by their experience on the Flint River and by how much fun everyone had beginning to end. It was off the charts! 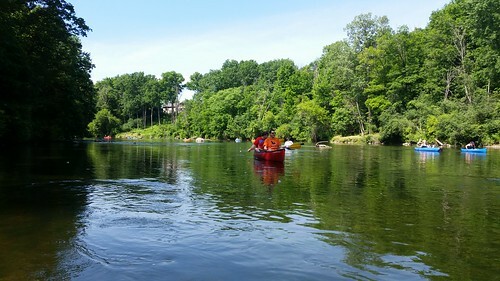 There were a few river-float veterans, but for so many people it was the first time ever to float on the Flint River. As soon as they had made it to the end at Mott Park, the call went up, “You’re doing this again next year right?” And without hesitation we said YES! Anyone interested in participating at the event, volunteering, or in serving as an event sponsor should contact the FRCA at www.frcalliance.org or email Janet Van De Winkle at jvandewinkle@frcalliance.org. Feeling creative and competitive? We will be awarding trophies again this year for Floaters in the following categories: “Highest Energy” “Most Colorful” “Spirit Award” and we’ve added “Captains of Industry” for whichever workplace has the most employees in the Flotilla. Be the envy of your friends, family, and colleagues. Just show everyone your bounding Energy, your true Colors and your joyful Spirit in costume and float décor. Parking is available at the golf course off of Sunset Drive just east of Ballenger Highway. A shuttle will transport you and your floating device from the golf course to the starting location. New this year is a partnership with Metropolitan Transportation Authority for a quick and comfortable shuttle from the event parking area at Mott Park Golf Course to the Flotilla start at Tenacity Brewing. FRCA will also have tubes and rafts available for purchase while supplies last, so get registered and come early! “I should have given the lake a second look,” said Sandra Robinson, who serves on the Board of Directors for the Flint River Watershed Coalition. She walked along the shores of Thread Lake with an old friend from the neighborhood and a new friend from the business community. They reminisced with her about all the changes they have seen and hope to yet see. She scanned the water with a quizzical look on her face, hair and red dress ruffling in the wind. “I can remember my father and his lifelong friend spending many hours fishing and enjoying the lake. My brothers shared my father’s enjoyment of those activities. The one time I decided to give the lake a try I could not understand the attraction. For me, the outing was a fight to stay away from the mosquitoes and insects. I couldn’t see past those bugs to experience the beauty and fun staring me in the face. I turned my back on the lake until a recent revelation. Gary Simons grew up here too and was lost in his memories. He stopped abruptly and pointed to a field of freshly mowed grass with a huge grin on his face. “The pool was right there! We spent so many summer days swimming in that pool. Do you remember the carousel and the Pavilion, Sandra?” Thread Lake once held a regional renown because of the Lakeside Amusement Park along its western shore. The park drew large crowds to the area and is still remembered as an important part of the city’s heritage. Mike Herriman of Vern’s Collision and Glass Inc. is a member of Business Promoters of Genesee County, a local chapter of Business Network International whose motto is ‘Givers Gain.’ Five years ago, Mike told his chapter about Thread Lake and that he would be going to that site to help in the Flint River and Community Cleanup organized by the Flint River Watershed Coalition. The experience was so gratifying for each of local business leaders that they decided to adopt Thread Lake as the focus of their community service. They have been involve ever since, continually building on their previous years’ effort. Chapter members show up each year with more tools, more equipment, and more volunteers. “Our group believes that as residents and business owners we have an obligation to maintain and improve our community. This project is one of many steps that we are taking to make our community a better place to live and do business in,” Mike continued with a quite resolve. And improvements have begun. The Flint City Council approved Flint’s first master plan since 1960 on October 28, 2013. One of the subareas defined in the Master Plan is the “South Saginaw Corridor,” which includes Thread Lake and the neighborhoods to the south, north, and west of the lake along Saginaw Street. Last fall, after months of negotiating an agreement, Genesee County Parks accepted responsibility for maintenance of several City of Flint parks, including two along Thread Lake. A massive cleanup effort was immediately undertaken by Genesee County Parks followed by huge community celebrations for residents to get reacquainted with their revitalized parks. The transformation is breathtaking. The South Saginaw Task Force (SSTF) helped facilitate a $225,000 grant for the City of Flint by the Michigan Natural Resource Trust Fund (MNRTF) for an improvement project at McKinley Park on Thread Lake. The funds will finance improvements to the boat launch on northwest tip of Thread Lake, repairing fences and sidewalks, creating a new soccer field and goal posts, upgrading the baseball outfield, new playground equipment, reconstructing the tennis courts, restriping basketball courts, improving the parking lots at the Vista Community Center, adding a fishing deck, an accessible floating kayak/canoe launch, a new pavilion, and an accessible path with exercise stations. The creation of the SSTF was spearheaded by Phil Hagerman, the CEO of Diplomat Specialty Pharmacy, and includes local representatives from the International Academy of Flint, Word of Life Christian Church, Flint Golf Club, Applegate Chevrolet, Walker Electric, Metro Community Development, Genesee County Habitat for Humanity, Flint & Genesee Chamber of Commerce, the City of Flint, Flint Area Reinvestment Office (FARO), and the Flint River Watershed Coalition. When you meet the local leaders like Sandra Robinson, Gary Simons, Barbara Griffith-Wilson, and Art Wenzlaff and the local business leaders like Phil Hagerman, Mike Herriman, Marilyn Alvey, and the rest of the SSTF and BNI groups, you will find a deep and abiding dedication to their community. 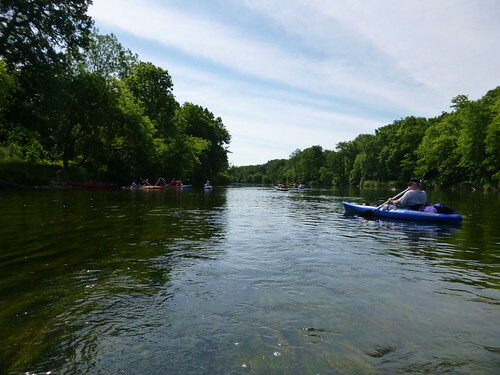 The tireless and hardworking Genesee County Parks leaders and employees, neighborhood and community organizations, and residents know the secret of Thread Lake…it is a priceless gem that, with collective action, will soon have its sparkle and charm back. We invite you to the Second Annual “Love Your Lake” Community Picnic and Celebration on Thursday, July 23rd from 5:30pm to 7:30pm at McKinley Park (near the Vista Center, 249 Peer Avenue in Flint). Please be our guest and come enjoy the enchantments of Thread Lake and meet some of the public-spirited neighbors and friends. We believe you will walk away wondering how this gorgeous corner of paradise in the city of Flint has been kept a secret for so long. To read more about the Vision for Thread Lake and its Neighborhoods and to join the team breathing new life into Thread Lake, please contact Sondra Severn at ssevern@FlintRiver.org or go to our website at www.FlintRiver.org. We are happy to report that the Mill Road Bridge log jam is being removed by a hardworking crew from the Genesee County Road Commission at this very moment! Many thanks to the Genesee County Road Commission for moving so quickly on this safety hazard. Thank you to all who jumped on this and got the job done. FRWC couldn’t be more pleased as we head into the Independence Day holiday weekend. The Mill Street Bridge in Flint Township is completely blocked by a log dam. Please help us spread the word to other kayakers/canoers to avoid the Mill Street Bridge in Flint Township until it is cleared. FRWC will keep this notice updated and let you know when the situation is resolved. Jack Minore: May is National Bike Month! May has been designated as National Bike Month and if you’ve been curious about getting on a bicycle for the first time or the first time in a long time, I would like to share the experience of riding our Flint River Trail on one of our Sunday rides. Most of us can remember the joy of bicycling as a kid – a great pastime and sport. But the resurgence of cycling among adults in recent years has been nothing short of phenomenal. In the 18 years that we have been riding with Friends of the Flint River Trail, the increase in the numbers of people out riding is remarkable. It started out as a few friends peddling together and has grown to dozens and dozens. The Friends of the Flint River Trail had our first ride of the season on May 3rd and what a turnout! More than 70 cyclists strong, including Flint Mayor Dayne Walling. Did you know that Michigan has more miles of trails than any other state in the Union? Over 12,000 miles of trails await family and friends, group rides, cycling tours and races. Personal enjoyment and competitive sports are only two values of cycling. People are increasingly using bicycles for transportation, increasing the demand and use of bike lanes. A study by the League of American Bicyclists conducted between 2005 and 2013 found that Michigan has experienced a 66% increase in the number of people commuting by bicycle. Moreover, a huge percentage of our errands two miles or less – and what could be more pleasant than a bike ride, not to mention quicker, cheaper, and healthier? In addition to recreation and transportation, the health benefits of bicycling (and of trails, generally) has been studied extensively. You can read more about the benefits of bicycling in this brochure by our friends at the Rails-to-Trails Conservancy: Health and Wellness Benefits. Numerous studies show that communities with trails have lower levels of obesity and diabetes. That, of course, is especially true of communities where the weather makes year around use of the trails and of cycling is common. Finally, the economic impact of trails and greenways are sometimes readily apparent as in the case of trailside businesses. but they are sometimes a bit more subtle. There are companies that decide to move to a particular community because of amenities like trails, greenways and public access to waterbodies. Studies indicate that property values on and adjacent to trails increases quite dramatically. Businesses along trails also experience growth related to the presence of trails. There is no question that communities across Michigan are enjoying an economic revitalization due in part to public access to trails and greenways. Check out “Investing in Trails: Cost-Effective Improvements for Everyone,” another Rails-to-Trails brochure that illuminates the growing evidence of the positive economic impacts of trails. Jack and Bruce: Ready to Ride! 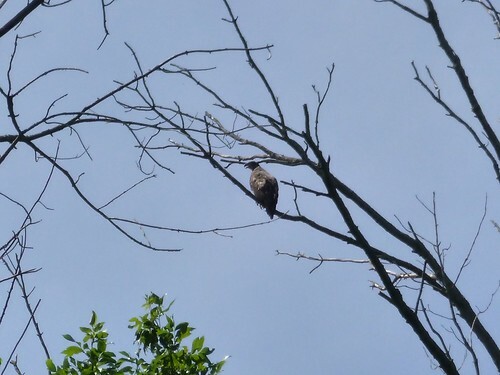 I would also like to share a few observations about our own group: the Friends of the Flint River Trail. Over the past few years, we have averaged about 35-40 riders every Sunday during the summer and those riders come from – on average – about the same number (35+) different zip codes over the year. We have family oriented pleasant recreational rides of about 10-12 miles every Sunday – May through October – starting from the OLD Farmers’ Market at 2:00 PM. Helmets are STRONGLY ENCOURAGED! There is no fees or membership requirements: just come along and enjoy the ride. The last ride of National Bike Month is Sunday, May 31st. Won’t you join us? We are gearing up for Spring Water Quality Monitoring! Some call them Benthic Macroinvertebrates, others call them River Critters, but one thing is certain: They tell us how healthy our rivers, lakes and streams are….and its a lot of fun catching and counting them. OK…so that’s three things. See? We need your help! Come out and be a citizen scientist for a day or two out in our Flint River Watershed. 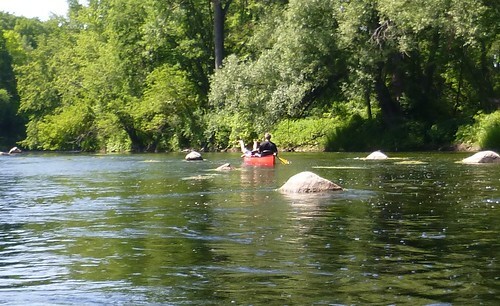 To volunteer for the Flint River Monitoring Program, please SIGN UP HERE or email Jaime Welch. Donna Calvin and Donn Hinds are doing Water Quality Monitoring at Richfield Park in Davison. 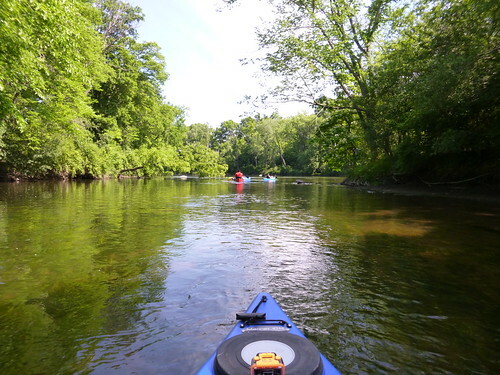 We are looking for communities, clubs and organizations, businesses and others to join us from all corners of our Flint River Watershed to give the area a good Spring Cleaning to spruce up our rivers, lakes, creeks and communities for the season of fun. We will be picking up trash and debris along the shorelines, BUT not entering the river due to the swift high waters of Spring: Safety First! Gloves, garbage pickers, and trash bags are provided. All volunteers will also receive an insulated lunch box. Click Here to become a 2015 Cleanup Sponsor! If you retrieve something interesting or unusual during the cleanup, Take picture then email it with your name and the site you found this treasure to Jaime Welch at jwelch@flintriver.org. YOU could WIN the prestigious Golden Glove Award, chosen through a public poll and bestowed at the FRWC Voice of the River Annual Celebration in January.